Do you want to grow deeper and stronger in your spiritual life, at home ~ online ~ around the world? Dr. Wayne Cordeiro has something to say to you today: Love your Bible. In a world competing for your time and attention at every turn, that’s easier said than done. Until now. With the LifeConnect Study Bible Notes, through helpful notes and articles, a variety of study tools, and links that direct you to an incredible set of digital resources, connecting with the Word of God is never more than a click, a tap, or a swipe away. Join Pastor Wayne Cordeiro as he leads you through the S.O.A.P. Bible study method. LifeConnect Study Bible Notes includes access to a wealth of digital resources about Biblical discipleship and in-depth Bible study by Dr. Wayne Cordeiro and others, right on your handheld device. NOTE: The LifeConnect Study Bible Notes product only contains the LifeConnect Study Bible Notes. 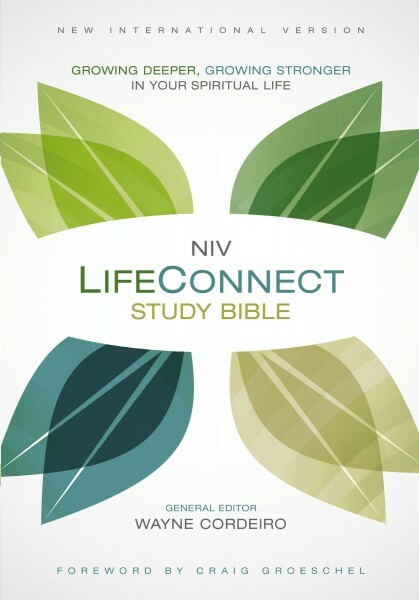 For instructions on how to download the NIV Bible text for free go here. The NIV Bible text (or the Bible translation of your choice) uses the Olive Tree's Bible App's powerful Resource Guide feature to link these two resources.